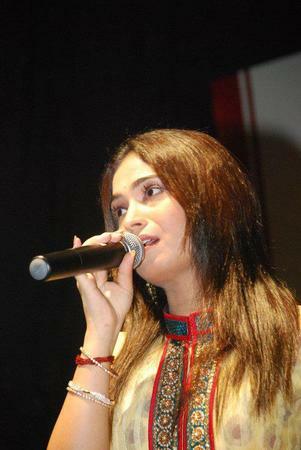 This talented singer can perform a soulful ghazal, a timeless classic or a groovy hip-hop number with equal ease. Supriya Joshi can deliver music with a passion that can capture the heart of music lovers, or have them swaying on their feet. The artiste has a PhD in music, and has had some dazzling performances over the last couple of years. Supriya Joshi is a wedding entertainers orchestra based out of Mumbai . Supriya Joshi's telephone number is 76-66-77-88-99, Facebook page is Supriya Joshi and address is Embassy Apartment, Main Road, Lokhandwala Complex, Andheri (W), Mumbai. Supriya Joshi is mainly known for Entertainment Services. In terms of pricing Supriya Joshi offers various packages starting at Rs 0/-. Has been viewed 1 times and shortlisted by 0 customers over the last month. There are 0 albums here at Weddingz -- suggest you have a look. Call weddingz.in to book Supriya Joshi at guaranteed prices and with peace of mind. The Vendor will get in touch with you soon! Call Weddingz at 76-66-77-88-99 if you do not get a call within 24 hours.